When nearby residents tire of the daily grind, and when the temperatures soar in the summer, they seek respite at the glistening Khanpur Lake, located in the Haripur District of Khyber Pakhtunkhwa. Walking along the road, one sees a small village perched upon a mountain, and a stream that rumbles with the authentic, tidal force of Mother Nature. 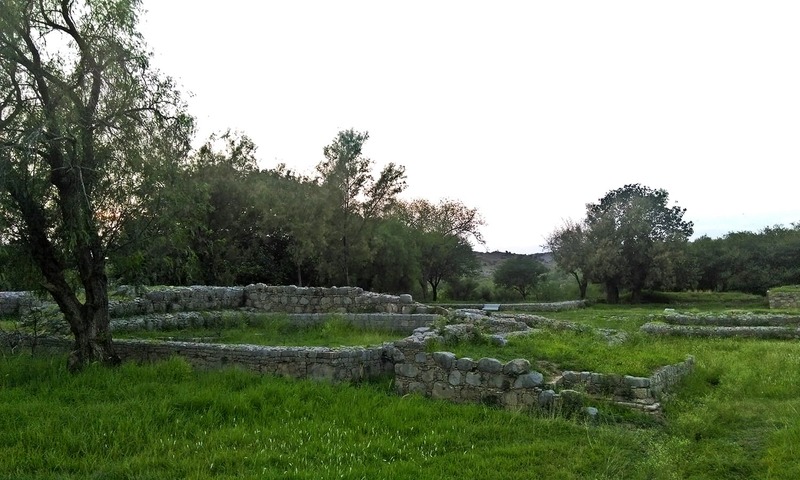 East of that stream are the remains of an old settlement, fairly preserved: a large stupa and other structures crafted out of black stone, the remnants of a 2nd century BC monastery called Mohra Muradu. Mohra Muradu was one of the 18 monasteries – Jolian, Dharmarajika, Sirkap, and Pipplan being the other important ones – that constituted Takshashila – the world’s first known university and a powerhouse of academic knowledge. It is to be noted that although the word ‘university’ was not invented back then, Takshashila, which was formed in 7th century BC, functioned very much like a university. 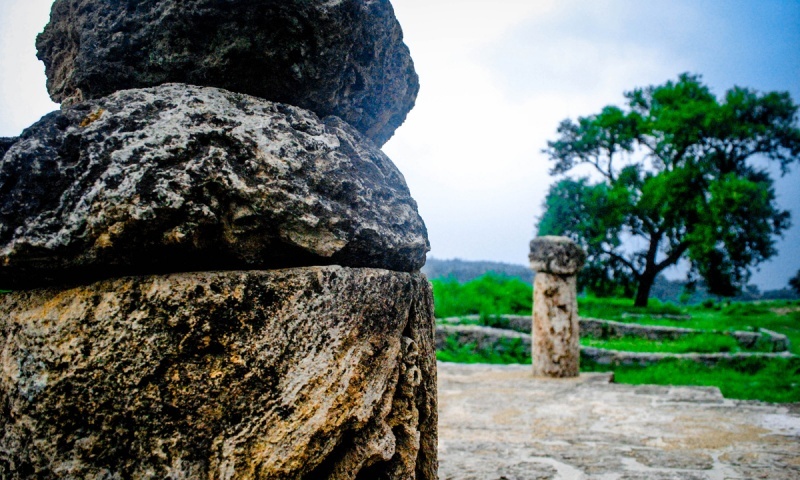 The Buddhist sacred scriptures, the Jatakas, mention Takshashila as a centuries-old centre for learning. It was here that the Mahabharta was first said to be recited. The rise of Gandhara, a kingdom in the northwestern region of present-day Pakistan, had a significant impact on Takshashila’s growth. The university offered 63 courses that included Vedas, astronomy, philosophy, surgery, politics, warfare, commerce, music, archery, and other performing arts. According to other Buddhist texts, such as the Pali Canon, Brahmin princes and students migrated from far distances to enroll at Takshashila, and its alumni include a thorough list of notables: Jatopil, the commander in chief of Banaras; Jivaka, who cured Buddha; Parasasenajit, the ruler of Kosala; Panini, a great grammarian; and Charaka, a famous physician. But perhaps the institution’s most noteworthy alumni is the legendary political philosopher and thinker, Chanakya, better known as Kautilya, the author of Arthashastra, often compared to the Italian mastermind Machiavelli and his book The Prince. There is a popular South Asian adage: "jo gur se maray, usay zehar kyun do". The saying originates from an intriguing interaction between a prince, Maurya, and Chanakya, back in 330 BC. Maurya was on a stroll one day when he noticed an odd sight: Chanakya, on his knees, pouring honey on to the roots of grass. Maurya approached him and inquired of his purpose, to which Chanakya replied that he was sweetening the roots. Apparently, Chanakya had tripped over the grass while walking. He decided it was much better to uproot the grass permanently so that he never stumbles over it again, rather than removing it temporarily. And so he was sweetening the roots, because the colonies of ants under the soil would sniff out the nectar, find it, and nibble through the roots, rendering the grass dead for good. Impressed by Chanakya’s wisdom, Maurya henceforth hired him as chief advisor for state affairs. This laid the foundation for a long and enduring relationship between Chanakya and Chandra Gupta Maurya – one which helped establish a state so powerful and vast it stretched across the entire Indian subcontinent and lasted for nearly 150 years. It became the largest (in terms of geographical expanse) and the most glorious empire Indian history has ever witnessed, even larger than the Mughal empire. Not many are privy to Chanakya’s indissoluble relationship with what's today Pakistan. Born in the suburbs of present-day Taxila, young Chanakya’s burgeoning intellect had him quickly noticed, and for his studies he was admitted to Takshashila, where he rose above the ranks and was hired as a teacher during his 20’s. His magnum opus Arthashastra talks about various subjects of power and facets of governance. It enlists the duties of the ruler, the associates, and the advisor; discusses intricate matters, such as the art of diplomacy, the rules of unleashing and defending wars, the duties of the state during peacetime; domestic governance affairs like taxation, commerce, law, municipal affairs; social norms and customs; and artisan work, agriculture, medicine, and census. 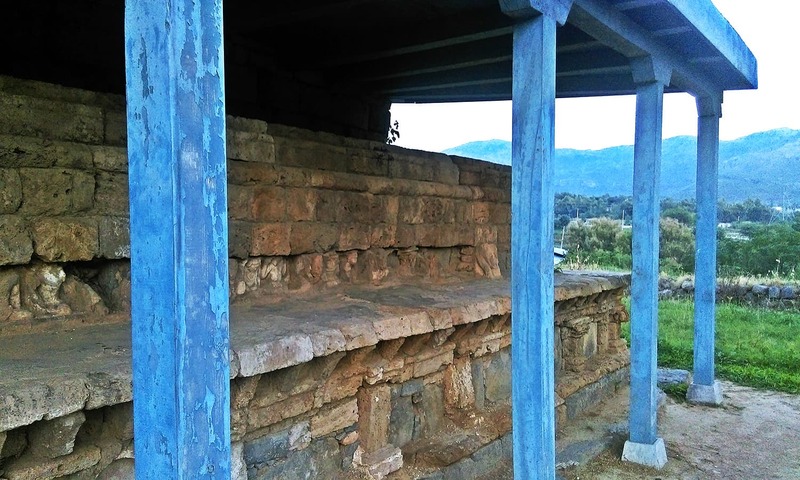 Unlike Lahore – where the city sounds off frequently in recognition of the poet and philosopher Allama Iqbal – Taxila, a much older city, is devoid of any reference to its son, Chanakya. Some time ago, there was an attempt to create a university in his name; however, the political rifts and bureaucratic hurdles relegated it to an unending limbo. Today, the only references to his existence are the shattered monasteries and the shambled remains of the once-great Takshashila. Of these monasteries, Mohra Muradu is still a thriving village: an abode to 200 families, encircled by mountains and fields, home also to orchards and olive grafting. The settlement history of the village is unknown, but to locals it is as old as the monastery’s remains. Sir Syed Ideal School, the school he runs, has a block named after his grandfather, Master Abdul Rehman, one of the first graduates of Aligarh University in Uttar Pradesh, India. Henry Kissinger in his book World Order described Chanakya’s Arthashastra as avant-garde that established hard power as a dominant reality in politics and validated realism much earlier than Machiavelli’s The Prince. Whilst the world recognises Chanakya's stature as a philosopher, he’s nothing more than another example of how our nation has made someone a pariah without realising what they stood for. Chanakya is damned for obvious reasons. He is presumed to be a representative of the Brahmin mindset and Hindu culture which we have parted from a long time ago. Merely this was enough to disqualify him from the stature of a learned philosopher of the soil. Hence, not a single reference of him is found in the country, whereas we already have buildings and campuses named after scientists and philosophers from different eras and places. Nothing can describe this irony better than The Indus Saga , in which Aitzaz Ahsan writes in the preface: “… a nation in denial of its national identity is unfortunate. But when it chooses to adopt an extra-territorial identity, it becomes a prisoner of propaganda and myths... This is the Pakistan of today, not the Pakistan of its founders. Identity is at the heart of its problem”. If Pakistan is to come out of its tortuous identity crisis, it needs to accept its non-Muslim history as its own. Recognising someone as important as Chanakya will have to be part of the long process. High time we paid more attention to our rich heritage. appreciate for writing and publishing this article. An excellent piece of interest. Last lines sum up the fundamental problem that Pakistan has created for herself. Honesty in identity is the foundation on which to build a nation. Aryans ...Dravidian ...Indus Valley Civilisation....list is long....and Countries are India ..Pakistan... Afghanistan... Iran which share the history and culture. But who is interested in all this. Although the article is good but many facts are wrong, like Chanakya and Chardragupta relationship. Chardragupta did not hire him, Chanakya made him king from scratch. "If Pakistan is to come out of its tortuous identity crisis, it needs to accept its non-Muslim history as its own". This sentence says it all. Good read, however history presented is not correct. Chanakya was born in present day Bihar and went to Taxila after execution of his father Chanik by king of Magadha. Chandragupta didn't higher Chanakya, rather this was Chankaya (also known as Vishnugupt) who groomed Chandragupta to take on Nanda empire. Maurya empire lasted around 150 years (not 30 years as mentioned in the article) and reached at peak under the Ashoka the great. However, there is dispute on the origin of Chandragupta. Most historians believe that he was from Bihar and few argue that he was from present day KPK. Indeed a revealing article. Read about Chankya and his philosophy in Times of India but nothing wrong to apply his wise philosophy in our lives. Rather the life could more richer. It is more about practical life - be it a common man or a ruler. He was a master of statecraft much before Machiavelli. No harm including him as a part of our history. Good idea.His birthplace is not certain but at least they all agree he was groomed in Taxila. . His teachings may conflict with our religion but his methods of politics are well used by our politicians. A wonderful article on Taxila (Takhashila in Sansrit) and Chanakya (also known as Kautilya,real name Vshnu Gupt). We in India have always believed that history should include all the elements which contributed in making up the culture of the country, which includes in case of India Ancient period (Hindu & Buddhist),Medieval period (Sultanat, Mughal & Maratha) and Modern ( British & independence movement). I really appreciate the author of this article. The photographs attached to it are wonderful. This is a great heritage of the South Asians, though we are divided our family tree is one. I am thankful to Dawn. Keep it up. Though we, the Indians may not have a luck to visit the site, I fully endorse the thinking process of the author. Excellently researched, objectively written, very very educative article. The concluding sentence "If Pakistan is to come out of its tortuous identity crisis, it needs to accept its non-Muslim history as its own. Recognising someone as important as Chanakya will have to be part of the long process." compels one's thinking and motivates him to go back to the basic unifying factor, that could hold solutions to the myriad problems that plague the two countries. Very valuable knowledge through this Article and rich heritage which should be attended by the Pakistani government efficiently for future generation. Appreciate the attempt to create awareness to acknowledge the treasure trove this land has to offer. I hope one day we will see statues of people of this soil like Kautilya, Porus and many others instead of missiles in our chowks. Thank you author and Dawn! Very nice article giving a lot of information. The way author has summed up this article, is excellent. Rightly said, Maurya Empire was the biggest empire that India has ever seen. It stretched from South of India to Afganistan. The wisest of all Brahmin Chanakya gave education to the great Chander Gupt Maurya and made him the king. Ashoka the Great was the grandson who took the empire to new heights. Ashoka's was Hindu, his wife was Jain and after the final war where more then 100K people died, Ashoka gave up Hindusim and became a Bhudish Monk and started spreading the word of Bhudhism. India flag's chakra comes from Ashoka, its the symbol of one's duty. "He is presumed to be a representative of the Brahmin mindset and Hindu culture which we have parted from a long time ago. Merely this was enough to disqualify him from the stature of a learned philosopher of the soil". On the other hand we expect Indians (read Hindus) to be kind to Muslims. very erudite and shed light on the rich history of the subcontinent. Good article, but ironically a article about the importance of acknowledging chanakya gets facts about him completely wrong. Salute to courage of the author and The Dawn. Better late than never. “… a nation in denial of its national identity is unfortunate. But when it chooses to adopt an extra-territorial identity, it becomes a prisoner of propaganda and myths... This is the Pakistan of today, not the Pakistan of its founders. Identity is at the heart of its problem”. "a nation in denial of its national identity is unfortunate. But when it chooses to adopt an extra-territorial identity, it becomes a prisoner of propaganda and myths." Best quote. Excellent article. Once again a brilliant article published by dawn and penned by Saif Tahir. This monument must be well preserved by the Pakistan government and be prominently displayed in mouments portal. @helloWorld There was nothing like Hinduism during those days. It was Sanatana (eternal) dharma In fact there was no specific religious group either. Ashoka followed the teachings of Gautam Buddha which during colonial period become Buddhism. We must respect our rich past to have a prosperous future. The birth place Sanatana Dharma, where Shanti's concept was invented for mankind. I love this land my most beautiful Indus Valley Land Pakistan. Mr Saif Tahir's blog was a very good read. Recognizing one's cultural background supported by historical data would make the two warring neighbors work in the direction of improving economic growth of its people, particularly because they face identical problems. Inspiring blog. Fantastic article about our shared history. I wish I could visit this place. @Masud His Birth place is Patli Putra (Present day Patna from Bihar state in India). Thanks a million to SAIF TAHIR and DAWN. Please keep publishing such things. I wish to visit there once in my life time (If pakistan permits). These are real spots of tourism, and needs to be preserved. & you summarises it all, “… a nation in denial of its national identity is unfortunate. But when it chooses to adopt an extra-territorial identity, it becomes a prisoner of propaganda and myths... This is the Pakistan of today, not the Pakistan of its founders. Identity is at the heart of its problem”. You get it & you will come out of all confusions & problems & will be on path of progress & peace. Correction - Chanakya made Chandragupta Maurya a King. Because he was bhakt and not secular. Indonasia is also an Islam nation. Yet they have Ganesha on their currency. The name of their airlines is Garuda (Eagle in Sanskrit). Some people take pride in their heritage, some take pride in destroying their heritage. Yesterday I watched a movie on North-South Korean war. I wondered they were the same people, then why are they killing each other? Then I looked at India and Pakistan and wondered, if outsiders looking at Indian subcontinent would be having the same thoughts. Excellent article, very informative, let us honor our forefathers and give them the respect they deserve. We should not deny these great people their rightful place on the basis of religion, cast or color. Pakistan's history books lack references to these historical greats from Indus valley civilization as Pakistan consciously associates itself only with Mughal and Afghan warriors who invaded the land and established their empires here. I was posted in Rawalpindi back in 1980s and would often spend my Sundays visiting these ruins. Jaulian, probably being the least old, is still very much intact. I would spend hours in it trying to imagine the lives of the monks and students enrolled. Somehow, sitting there I always experienced a feeling of calm and peace. Its high time that both Indians and Pakistanis understand that they both are from the same origin. Our history which is one for both the countries, only can unite us. Excellent write up. Please continue to have such nice articles in Dawn. This makes nice reading. Lovely article with great photos. A true manifestation of very rich common heritage. Wish there is an article on Sharada Peeth as well. What an excellent article. This is the reason, I read DAWN almost daily. Pl keep it up, gradually entire pakistan will be proud of its own man irrespective of hindus, muslims etc. Very interesting. nicely written , good command over English. enlighten our history and knowledge about kautilya.. very well known in Our country. Like your broad minded views about non Muslim past and present of a country which was created on the basis of religion. For your information, Bangladesh has not dissociated from her non-Hindu past. So they don't have a so-called identity crisis. Anyway, a very good article. Thanks Author. Your article struck me that why hasn't Pakistan ever thought on those lines before, or has it, but has conveniently set it aside. We are not in denial of our national identity, others are trying to force identities upon us. For us Allama Iqbal is the greatest pholosopher South Asia has ever created. @Sarvesh R S Sharma's Ancient History mentions that there was a Maurya clan in present day Nepal. Most probably Chandragupta belonged to that clan. 'A nation in denial of its national identity is unfortunate'. ---- The most poignant sentence. It is also most unfortunate that Noble laureate Late Abdus Salam, is tending towards same destiny. Pakistan lies at the juncture of Persian, Chinese, Central Asian and South Asian civilizations. As long as the Indians insist on the exclusion of other civilizations from Pakistan's national conciousness, India won't even have the relationship that is possible. It is amazing that Indians claim historic and cultural ties with Iran and Afghanistan but claim that Pakistan does not have those ties. This kind of dogma won't get you anywhere. I thank saif and dawn for publishing an article about chanakya. Great read. Have been visiting the ruins since childhood and recently took my wife there for her first trip to Pakistan. I am interested in reading Kautilya's philosophy. Can you recommend a good book? @Tariq Sardar you are absolutely correct sir. Great Scientist and Noble Laureate of this sub-continent Late Abdus Salam, never honoured by the same Nation. Well Done Mr. Tahir !!! I liked your honest and candid approach. History of Pakistan is certainly more than 70 Yr old. Unlike USA or New Zealand which has none to very less history, Indus Valley and related civilisations have existed from time immemorial. There is no harm if current day Pakistan acknowledges it's rich legacy. This will help Pakistan in may ways - will connect with your root and true identity, your contributions to world at large, making your society more tolerant and pragmatic, growth of tourism. There are few historical facts which certainly needs to be corrected and I do notice some of the learned readers have already pointed out. Like - Birthpalce being around Taxila and Chanakya being hired as adviser of Chandragupta. But, I am very happy to see this article in Dawn. Persia and China are real civilizations and South Asia has benefited tremendously from them. It is the Indians, not the Pakistanis who are in a denial of identity, because the Indians are not honest enough to acknowledge the contribution the real civilizations have made to their society. @Sarvesh Thank you for your comments. By 30 years, I meant the reign of Chanda gupta, however, the sentence made sense for the morya empire...so its corrected from 30 to 150 years. Secondly; yes, there's a discussion on the birthplace. However, the strong arguments are from the stance that he was born in the area that is currently called as Taxilla. For further clarity, you can read the work of Dr Ahmad Hassan Dani who's considered as an authority on Gandgara region. You can consult his book "The historic city of Taxilla" or History of Pakistan through ages. Kautliya first and foremost presented himself as a master in the art of state craft. India followed it and spent a thousand years under foreign rule, must not be very good state craft. A very interesting and informative article. Unfortunately, as a nation we have been indoctrinated to believe that our history begins in 1947 and the history before that is irrelevant with the exception of the periods of Muslim rule and dominance. I am grateful to the author of this article for reminding us that our history stretches beyond the 8th century i.e. when the Arabs conquered Sindh later followed by invasions from Central Asia. Very nice coverage by Dawn. Nice to such great sites in Pakistan. This again shows Dawn is one of best news paper. It is heartening to observe that Mr. Asif acknowledges Pakistans Hindu/Buddhist heritage. History should not be fabricated. Overlapped history of India and Pakistan will only help improve relations and sort out disputes amicably. Well Done! May Sanity Prevail. @Mustafa R. - cultural and trade ties in olden days does not mean both will belong to same roots. For eg. india china have a 4000 year old cultural links -but civilizations are different. The sub-continent culture is basically from sind/sindu/indus - river and spread later east and west . . Religions came much much later. The subcontinent we live may have many diversified branches , like a tree has eg. languages , beliefs, cultures, religions - but root is same and spread deep all over the sub-continent .. It will not go , otherwise - we will not be discussing in this forum . Its high time that we not only recognize the fact that Hinduism and Budhism is our past but we should also introspect that what we have gained and lost by moving away from these philosophies. Excelent article..very informative...! Hope India Pakistan unite one day..we share common roots. @Mustafa R. : Think you got wrong end of the stick. Please read this fantastic piece of writing again. It simply extrolls the virtues of accepting a shared heritage. No one is denying the impact of numerous invasions and their cultural and religious implications on the subcontinent of today, whether they are perceived as negative or positive. I feel sad that Muslim and Britishers came to India destroyed our rich heritage and then divided India into pieces. I am a real admirer of Chanakya. Also, it is written wrong and Chandragupta hired him, he made Chandragupta a ruler a king and Chankya did not have a Brahmin mindset, he was a Brahmin. I wish I could get my whole India back from these people. Despite all this, our country is still so rich culturally and scientifically. @shahdab Santana Dharma is Hinduism. It was Maha (Bharat -country's name) since ancient times. Persians called it hindus and hindustan. While greek british called it Indus, India. @shahdab Sanathan Dharma is Sankrit name for Hinduism. Hindus/Hindustan/ Hind Maha sagar are Urdu language names for it. While Indus/India/ Indian Ocean english names for same civilization. It's just like Misr -Egypt notion. Such places have blessings of ancestors for the people of the country. Chanakya or Kautalya was extremely knowledgeable person in history so it was plot of other scholars to diminish his fame. He was one who advised Chandragupt maurya to marry Helena daughter of Seloucus who was Army Chief of Alexander [ Sikandar ] with Greek Army Chandragupt captured land and made Maurya empire. Great Article Thank you very much DAWN. This is all we owe in Pakistan and India. @Shazia Conversion, changing ones name under invaders rule, happened in Indonesia and Iran too. But they didn't forget their before conversion - religion or cultural root of their family ancestors, on the contrary they treasure it till date. Not disown like some nations. It is not going to change ever. Same is the case in almost all Muslim majority countries. @shahdab Hinduism is not a religion either. It is a civilization, the civilization followed by every one in this sub continent. I don't find any mention of Pakistan in ancient Persian, Arabic or Greek writings. All of them refer to Indica/ Hindustan. "If Pakistan is to come out of its tortuous identity crisis, it needs to accept its non-Muslim history as its own. " sums it all up. Unfortunately Pakistan has gone far ahead in its identity based on repudiation of everything Indian or Hindu that Chanakya is a very big villain in Pakistan rather than a celebrated philosopher. Badhiya, excellent article. thanks for providing good information. I would definitely like to visit Takshila sometime.. This is a problem facing the entire South Asia region.In Pakistan it is very obvious and real in our society and politics.The recent surge in popularity of the ultra right BJP/RSS along with its controversial Hindutva ideology in India shows that you can mold history to suit your needs when a vacuum is created.One of the major reasons for this state of affairs is the lack of interest in reading history and the social sciences.Educational institutions across the region are churning out hundreds and thousands of civil/mechanical/computer engineers,accountants,business grads who lack a solid foundational base in the social sciences,history and anthropology. The result is that when these kids become responsible citizens they are not only confused about their past but are not sure about their future as well.They are not well prepared to counter the agenda based narratives of political parties and other social groups and hence are liable to be used. If we deny our roots then we have no standing, because roots provide us the hidden strength. We are confident that we are part of something that was strong, real and traceable. It gives us sense of purpose by being identified with something of great value. It is a rational approach, because it allows us to compare our present state with what it was thousands of years ago. And in the process if we discover that we are brothers and not enemies, it can do a lot good materially and spiritually to us. Congratulations Dawn !!!!!! for publishing such a Article. In fact , we should not forget our ancient history, and our roots. Wow !!! Thanks Tahir and Dawn for this great article. Last two paragraphs have the key for a great future for Pakistan. Well research and an eye opening article. Pakistan needs to re write its history esp in text books. Very informative article. Indeed we in India, Pakistan, Bangladesh, Afghanistan should learn from our shared past and learn to live in harmony with one another and with the world. 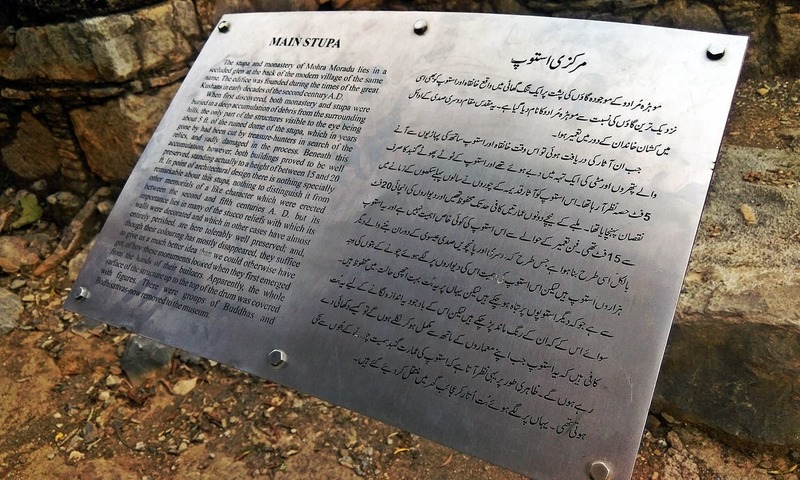 Please keep covering other places of historical interest in Pakistan, since we're otherwise ignorant of this very important aspect of our shared history. Thank you !!! Let me first salute your good mind and your broad secular heart. I salute your interest in history. I salute your sincerity. Thank You. THANK YOU! It’s heartwarming to see the pictures. History cannot be disconnected from the land. It’s always the history of the land and not the history of any religion/sect/people. That land may be referred by different names, inhabited by different people at different times, but the history strictly belongs to the land. Nice piece of research. This should prove to all Pakistanis that their roots are in India and not in Saudia. Mostly Indian guys making. I guess neighbourhood guys with belief that they have no relation with people across border and their history find it difficult to make sense of anything non-Muslims. @Mustafa R. Ashoka converted to Buddhism and gave up on weapons of violence. Hence the decline of empire, starting with invasions from mostly Afghan warlords and central asian adveturers. This is the first time i have read Chanakya written right by any Pakistani, its usually Chankia. I guess once you accept some concept then you can pronounce it too. Lot of things will need to get accepted including Sanskrit. Preserving, Embracing, and Spreading the heritage and knowledge is path to success. This can be done without loosing identities. It's like saying this who I was, who I am now, this is where I am going. Sad all this is getting lost in dust! @Bharat So people during and before Mahabharata times were not Hindus, because Sanatana name came afterwards. Then Vedas will not be part of Hinduism. @shahdab Nice comment. the meaning of word "religion" in Indian subcontinent has been quite different from that understood by remaining world. During colonial era we worked hard to fit eastern concept of religion in to western definition of it which is more that of a sect. And that is the cause of all disputes. You are correct that in ancient india the concept of Dharma was of sanatana from which emerged many schools of teachings like jain, Boddh, sikh and so on. We are all off shoots of a big tree named sanatana Dharma which bestowed us with thousands years of rich heritage. Unfortunately in order to have a separate identity from Hindus pakistan denied its lineage and directed it towards Arab. Had the pakistan opted for a "sanatani Muslim" culture, Situation would have been entirely different today. What a read....God Bless you Saif Tahir. I wish I could visit this land of knowledge. Excellent article and amazing pictures. There is so much history and scenery in Pakistan. When will the leaders project Pakistan in a positive manner and stop being defensive. If allowed to foster rightly Pakistan can reach great heights. @observer The name 'Pakistan' a new nation,carved out from a large nation. Just like, a quarelling son wish to comeout from his parental family to have a new house! So, before 1947, we have same history, which is 10,000+years or more, we are inhereters, important places exist in new nation, which do't interested, as its majority following a foreign faith. Am glad that the turnaround towards the common historical inheritance of the two neighbors of the Sub continent is beginning to show! @Asmit Asmit I agree totally, there were some positive elements of thinking in Arab tradition also, likes of Ibn al Arabi and his thought of "Wahdat ul Wujud", the concept which is totally different then what is happening today in Pakistan. these Sufi concepts were much similar to our subcontinental tradition of thinking rather than a religion, the term religion deriving from West including Middle EAST and is not of subcontinental tradition! Nice Article. Knowledge is superior to all qualities. We Indians always try to follow Chanakya's theory in every fields.. & his theory still very working in every aspects. will the fundamentalists treat these as great heritage & culture of Pakistan or will they ignore it as antireligious ? your ancestors are more intelligent than Sokrates ,Aristotle.some how Pakistan has lost the thought process.Modern Pakistan never gave importance to education.Education and logical thinking lost years ago. Bring back the principle preached by your ancestors to retain glory. A very informative article of DAWN standard. 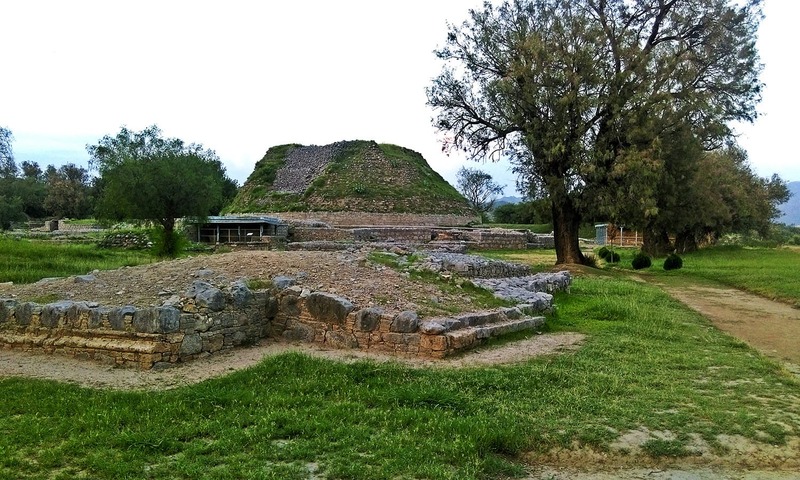 But why Pakistani nation should feel pride for Taxila University or for Mohen jo daro civilization as the history of Pakistan, as per the power that be, started only form 712 A.D. I read somewhere about the effect of religious conversion which makes one to side with the invaders of his mother land , killers and rapists of his great great great great grand parents. @vin "So during and before Mahabharata times they were not Hindus". They were always hindus -the scriptures, culture, traditions were same since inception till date of that of hindus. Mahabharat is one of the 1000 scriptures sacred to it. Thanks a lot Dawn for highlighting the world's richest & oldest educational Institution, shared by India & Pakistan! These things will re-unite us or atleast we can take care of/ better understand each other. Wonderful piece of article by Dawn. Whenever I see ancient cultural sites being ignored it makes me sad as history itself is being ignored.Anyways some positive minded people are still there like the author of this article. @Iqbal Ali Indians are kind to muslims, thats why all muslim sects lives in India peacefully, they can be President(3 in total), Actors, cricketers and what not, there population is growing. Yeah sometimes incidents happens(idiots are everywhere) but that doesn't mean muslims are ignored or despised in India. Tell me how many muslims have left India due to discrimination? Its time for Pakistanis to be kind to Hindus living in Pakistan. Peace brother. People transcend nations,religion,language for their contribution to Humanity.A great article on a heritage we wish to ignore. @Mustafa R. Perfect case of identity ignorance. Thank you Dawn! Excellent article as always. Thank you Saif! Keep it up. To those who have much idea about Chanakya and the immense practical value of his teachings in modern day life and especially in business, it could be interesting to read the largely popular self-help books (written in very simple English, that even a school student can understand) from Radhakrishna Pillai titled "Corporate Chanakya" and "Chanakya in You", both available on Amazon.com. But, for those who already know well about Chanakya or Arthashastra, these books may not be so useful, but could be still an interesting read. very good article by the Author. And in general, the quality of articles and their subjects are of high standards in Dawn. High class article with a very balanced mindset. I respect Dawn for its contents and balanced views and for covering a gamut of domains not ordinarily served by other media. Undoubtedly, Dawn is the best news paper of the subcontinent. Mere knowledge in theory and not applying it in practice is nothing. Indian subcontinent was ruled and exploited by British for more than 200 years. Was Kautilya exported to London and understood there properly so as the Angrej were able to set the empire of which no sun sets. Congratulations to Saif Tahir Saab for his excellent article and Dawn for publishing it. Need of the hour is to preserve these world heritage sites for the enlightenment of future generations and bring it to the notice of United Nations to declare it as world heritage site. Pakistan is not Arab...the entire subcontinent has been a crucible for all people to live together and take on the social/political/economic challenges forever...separating them was a mistake no matter how justifiable it might have looked. The brilliant minds of those times were successful in convincing masses to separate where people were and still are the real losers. Well written article which acknowledges the Hindu background to something which happened long back in history. Unfortunately, Pakistan's history books twist history, whichever way they want their future generations to know it, just to settle scores with the Indian Hindus. I am an Indian Christian and Christianity came to India several centuries before Islam set its foot on the Indian subcontinent. I am proud of our Hindu heritage and enjoy perfect freedom in my country, especially in my home-state of Kerala. We don't twist Indian history (which includes Pakistan also) in our Christian-run schools to suit our faith and belief. Please accept this as a feedback rather than as an accusation. As usual...Dawn is at its best..
@Khan : true, this is a history of the local subjects, not of the invaders. There are many assertions made here that are the authors own e.g. Gupta empire was grander than Mughal etc. Many readers will not agree with authors views. I like your paper because of such great writings which are above politics, religion or country. Wonderful writing. I am overwhelmed. @Mustafa R. dude you seriously need to read history. Wonderfully written and so much information about Takshila. Thanks to Dawn for having brought the story to us. While reading the same, felt like taking the next vacation and visiting the place. Might not be possible but that's the power of the story. As for why Pakistan chose that Kautilya or Chanikya should not be part of their history, is the obsession not to associate anything that is "Indian" and also a super belief that their (Pakistanis') forefathers are actually moghuls! Thanks to the author for educating me! Very well written, Thanks to author and Dawn. Excellent eye opening article! thanks for sharing and education. The more we learn the more we find out how ignorant we are about true history. Beautiful article. Only one factual correction: Chanakya a.k.a Kautilya a.k.a Vishnugupt was born in Patliputra where his father Chanak was persecuted and killed by Ghananand showing seeds of destruction of Nanda empire. Pakistan as a polity construct has a history that goes back to the struggle for the Muslims of India for a separate homeland just like USA's history goes back till the Boston tea party when the colonials resisted the 'unreasonable' demands of the English king. To explain the struggle of Pakistan we cannot go back so far in history neither it will make any sense. 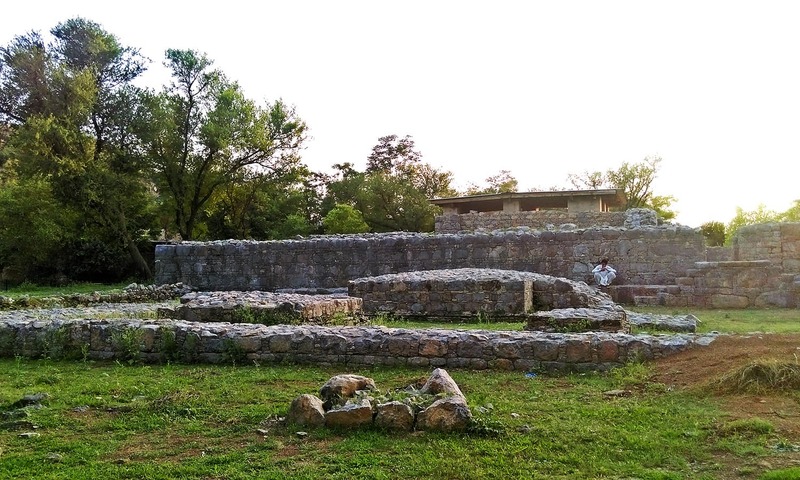 The history of Taxila civilisation is now the history of all of humanity. Never imagined such a Pakistani opinion!! There may still be hope for Pakistan. @JUBY MATHEWS - " We don't twist Indian history (which includes Pakistan also) in our Christian-run schools to suit our faith and belief. " Agree with you 100%. Most of my friends are Hindus and some Muslims and a Sardarji. But I never felt like an outsider. It feels strange that even in these modern times in some parts people are still divided on religions. It is really sad that the present day Pakistan diowns its past which was very very rich. Who knows yoga, vedas and other great achievements that are now a intellectual property of India would have been created by people of Pakistan. They can follow islam but can still acknowledge and be proud of their ancestors and their achievements. CHANAKYA is the teacher of Chandra Gupta Maurya, Chanayka took the kid chadragupt under him and created the great army. it is not otherway round. The history is that entire population of pakistan had vedic heritage, before forceful conversions in the name of conquest and building empires... if we understand the true history pakistan and India are never 2, it is same people, same culture and same civilisation.. There was no islam. it was just vedic culture... This is nothing agnaist religion, but it is an idea to bind everyone to common heritage and get back to those roots and build strong bonds to go forward. Tks mr Saif Tahir for enlightenment. Taxila is just a name in India.Kautilya is researched in Cambridge widely referred. It is in their interest to blind converts from their glorious heritage history ancestors of thousands of yrs. Sanskrit Pali Brahmi evolved in these areas not Persian.All of us converts non converts should be proud of our past.i am very proud of Rehman baba great pushtun Saint,disciple of sain bulle shah.heer is sung all over. Whether its a person or country, its roots defines its values, strengths and status in the world. The moment you neglect your roots, you are weakening your values, stature, confidence, identity, culture, etc. Those days, the subcontinent was the most developed part in the world. Foreigners were coming here from all parts of the world to do business, studies, trade, etc. I request people of this subcontinent to protect all these sites, learnings, books, monuments, traditions, custom, etc. This would instill a lot of confidence in the generations to come leading to the growth of the region. @Abdul gafoor...you are missing the point..British is very recent in the rich history of the sub-continent and has no bearing on the past. Of course much of it was destroyed by British and earlier rulers but what remains is still significant. When it is preserved, marketed and researched, it will be a glowing oasis in a world full of contradictions. These can also become pillars of strength and unity if used in a proper way. A master piece, I enjoyed reading this article. Glad to know about our history. Thank you for this insightful article. Great pictures and very informative article. Great article! Thanks to Saif for writing such a great article. There were two world universities in India during those times. One was Nalanda and the other was Takshila, where people from around the world used to come and learn the power of knowledge. These universities were destroyed after different invasions . The details of these invasion are available on the internet. He was a great man, and I am very proud that he along with other great luminaries was from our land, the land that is now Pakistan. His name should be taught in schools and colleges along with Panini, who was from Jahangira. @Job they are talking about Maurya empire which is very different from Gupta empire and definitely was biggest among all empires in Indian subcontinent. @Imtiaz ali khan If all the people are like minded as u there will not be any conflicts between two countries. Thank u for ur fairness. Congratulations to Saifur Rehman Tahir for an excellent article and to Dawn for publishing it. The need of the hour is to take care of these monuments by getting them declared as world heritage sites by the United Nations. Thanks a lot for educating us about our past we should be proud of. Chanakya is also an excellent role model regarding how a government officer should conduct them. Once a student came to Chanakya to get some advice on government affairs. He found Chanakya busy writing and has two lamps next to the desk. After some times, Chankaya puts off the first lamp and lights the second lamp and starts by asking what brings the student to him. Student says I came to learn about duties of government employee but I am curious why did you put off the first lamp and lighted the second lamp. Chanakay said, when you came in, I was working on state affairs and the first lamp is lighted by the oil purchased with government money. Now since I am not working on government affair, I need to use the second lamp lighted with the oil purchased from my salary. The student said I got my lesson and now I will take a leave. Neither Chanakya/Kautilya nor Maurya empire etc have anything to do with current Pakistan. They were different people. The civilization is made by the people and not the land. Current Pakistanis have absolutely nothing to do with those people who built Takshila or Mauryan empire etc. The true heir of those people are current Indians who have preserved those values which are nowhere to be found in current Pakistan. Regardless of the debate on the accuracy of the historical facts, the article is well researched and well written by Saif Tahir. Congratulations for a job well done! It is an impressive undertaking including some of the finest photographs of the region, which makes it a more valuable to the scholars all over the world. 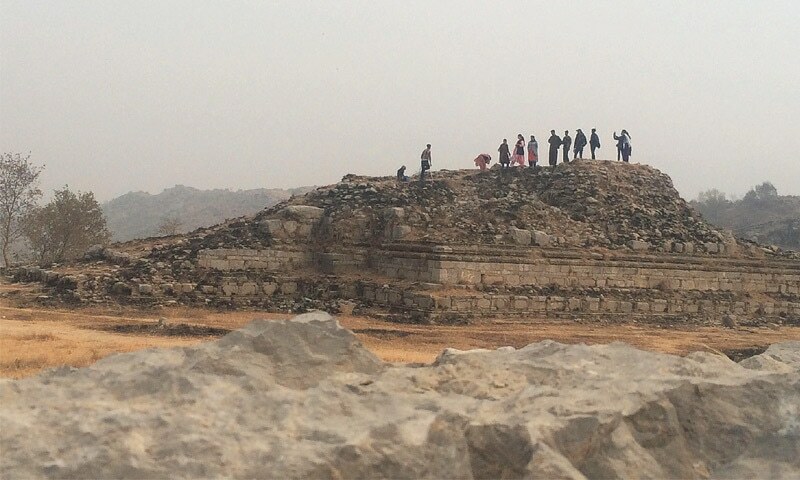 The Mohara Muradu Remains and surrounding sites should be declared as World Cultural Heritage Site for the current and future generations to visit. In the same spirit, I might recommend that the People and the Government of Pakistan may include Nankana Sahib and Kartarpur on their list of World Cultural Heritage Sites. These would be popular destinations for tourists from all over the world to visit and learn. Very good article. Useful information. A good insight into the ancient history. Admirable effort. what a fantastic article , i read dawn only for those classic work..
@Mustafa R. ...I was waiting to read your comments. I was thinking how come a comment like yours hasn't appeared yet in midst of these wonderful illuminating comments. We all know why it is so - Pakistan is perhaps the ONLY country, if not among a very small handful of countries, that praise the very invaders who subjugated them, oppressed them and ruled over them. Slaves do not praise their masters, except in Pakistan. Aitzaz Ahsan has summed up the issue very poignantly in his book The Indus Saga, as reproduced by the writer in the last paragraph of this article. Politicians may have political agenda but what about the inteligentia or intelectuals who owe a lot to the future generations. Thank you for informative and as always dawn surprises me with matured articles. Excellent article. I am planning to translate it in Marathi & publishing it in Pune local newspaper. Great article. Learnt a lot . Kudos to the Author and Dawn. Dawn is probably one of the best news papers in the sub-continent. Keep up the good work and hopefully one day we will have decent relationship to visit such sites freely. Lovely article. I have always been deeply fascinated by Chanakya and his philosophy. Some points in the article are incorrect as pointed out by various commentators. Overall, a wonderful article. I loved the pictures. I would loved to have visited the site. Walking around historical sites always makes one feel so wondrous, just imagining the people who walked before us down the same path, thousands of years ago. Excellent article about a great intellectual. @Shazia - "Pakistan's history books lack references to these historical greats from Indus valley civilization as Pakistan consciously associates itself only with Mughal and Afghan warriors who invaded the land and established their empires here." There is a saying that loosely translates to the King's palace keeps changing its tenants. The power stays with no one permanently. The Mughal heir are now staying in slums. So treat the populace well while you are in power. Pakistan is the home of the pre-Aryan, probably Dravidian. Indus valley civilization. Much of early Indo-Aryan history was played out in Afghanistan and Pakistan. The Sanskrit grammarian, Panini, was from Baluchistan. His Grammar of Sanskrit is the first book of its kind in any Indo-European (Aryan) language. It is also formed the basis for modern "Linguistics". The 'gene" make up of Pakistan is similar to the subcontinent's gene pool. That means that many Pakistanis are not only Indo-European, but also the descendents of Panini, Chanakya, etc. Simple answer: Because he wasn't Muslim. Though it's a rhetorical question, I will attempt to answer the question this way... the name is Chanakya and DOES NOT read like 'something-bin-something'. I had the good fortune of visiting this historical site during my high school years, way back in 1950s. It is sad and unfortunate to see historic site of our heritage being neglected in attempt to disassociate ourselves from our Hindu and Indian past. Thanks Saif Tahir for his research and Dawn for publishing it. Maybe the 'educated classes' and those in charge of the education department should appreciate the works of the likes of allama iqbal with the same zeal as the works of Shakespeare. Awesome article! Dawn continues to impress me. Thank you Mr. Tahir! @Mustafa, the beauty of Sanatana Dharma is to respect diversified opinions such as ones you possess and coexist in peace and harmony. Your different view points are heard and respected. May not be factually accurate however. Chanakya was not born in Texila. He was born in Patliputra (present day Patna in Bihar) and came over to Texila for studies. Chander Gupt Maurya did not employ Chanakya as an adviser. On the other hand, Chanakya used Chander Gupt Maurya as a warrior to destroy the Nand Dynasty of Patliputra. @Khan : How right you are! Brilliant. Excerpt from Indus Saga by Aitzaz , “… a nation in denial of its national identity is unfortunate. But when it chooses to adopt an extra-territorial identity, it becomes a prisoner of propaganda and myths". The world has to be more aware of Pakistani scholarship like Aitaz Ahsan and the author of the article, instead of always painting Pakistan a country plungeed in chaos and extremism. Very good. Thanks for this Los Angeles, California. Saif has done a good job to research on a topic that is a big elephant in the room. Feel sad for Pakistan, they are going thru a major identity crisis. Wow! This is a great article, not just for historical facts but also for enunciating realism and humanism. Great piece. Very informative. I will love to visit the site on my next visit to majestic Indus Valley! I am glad that someone in Pakistan is recognizing the great Kautaliya as Pakistan's great man. Pakistan is blassed with Kautilya heritage, but they dont know importance of it. doesnt matter how much you progress, but this is your root where you developed in modern human. try to save this otherwise next generation will see this in photo only. The excellent extraction of the essence from the noble literature.The scholar deserve to be congratulated.No individual is able to reach or study the vast literature.However,sharing the knowledge is only the way.The article is the the perfect knowledge imparting act.Thanks to Dawn. Some of old history books also refer Chanakya was born in Chiniot at the banks of river Chanab in Punjab most recent reference is Tarikh Chiniot by Dr. Irshad Ahmed Theem. Per Dr. Irshad Chiniot was also mentioned in Arthashastra 3 places. It may be coincident there is part of old city still called Kautiyla in Mohala Garrah Chiniot. Also there was a big clan of Katyalls lived in Chiniot pre 1947. Quite an interesting and informative piece. We are unfortunately attuned to ignoring our history very easily.History tells us that civilizations thrived through the principles of humanity, justice, peace and coming together of different cultures for the common good. Sadly the textbooks of today have a very myopic view of history and culture and the lack of good reading resources has left the young people with no choice but to learn about their favorite comic heros only. Thanks for sharing an interesting piece of history. An excellent article, Accepting foriegn culture but dismissing anything that is your own culture is the root cause of identity crisis. Good Article. This improves the relationship between two nations and two beliefs. Once again I am here to request you " Sir take over as PM of Pakistan. Both countries need you to unite both people to live in peace for ever ! " An excellent piece! My compliments to the author. I'd never imagined that a Pakistani newspaper would publish an article that eulogises a Hindu and that too a Brahmin. The mis-perception was, of course, mine. No fault of the Pakistani press. Individual should be regarded and praised . I never thought, I would see such deep research on history of India here. In fact the whole of Indian/Indus Civilization originated from there. People of Pakistan don't realize their contribution to world; without Indus Civilization there wouldn't be Hinduism, Buddhist, Sikhs or for that matter Eastern Philosophy which in turn has a great impact on Greek Philosophy that is bedrock of modern day Western Philosophy. @Khan What is your history may I ask? No history for you before 1947? Chanakya or Kautilya was indeed a great thinker and philosopher who with the help of his disciple Maurya ousted the tyrant ruler named Nand and founded an empire in which all people were happy. If the present regime in pakistan follows him in letter and spirit all of pakistan would be a happy place and an envy of the world. Incisive analysis, intelligently presented, and to connect events from 2500 years ago to present day conditions is simply a stroke of genius. Wish the people of Pakistan can read in their native language. Welcome more such articles from the author. It never diminishes a nation to recognize its past and learn lessons from it. 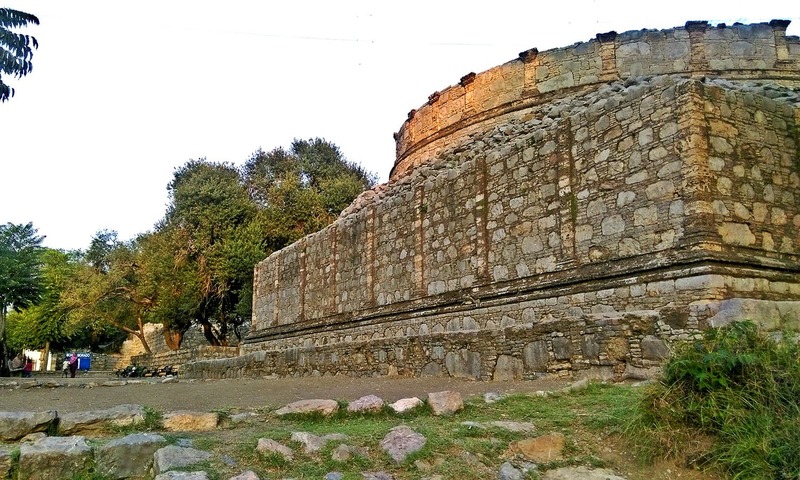 Ancient history of Pakistan ne Northwest India is replete with many great happenings such as the history described here and rise of the great Gandhara kingdom. A. Chanakya existed in 330 BCE. B. Pakistani 'Historical Consciousness' does not extend beyond 712 AD. C. More importantly Chanakya was not an Arab. D. Bhagat Singh suffers the same fate. Great article. I think organisatio s in Nalanda, Bihar and Takshila, Pakistan should establish sister city relationship to live their rich heritage. If anyone interested, let me know. I am based in Delhi. 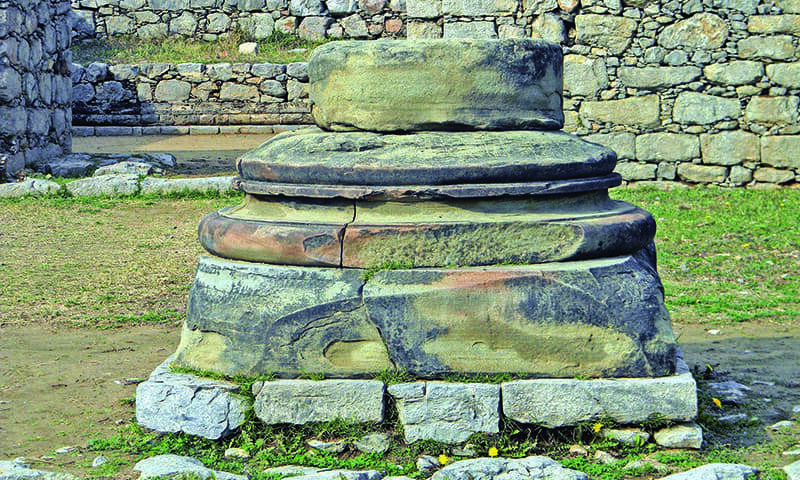 Irrespective of where he was born, Taxila was one of the places where Chanakya did his important work. He is a part of our shared legacy as are luminaries like Amir Kushrau and Kabir. Thanks for publishing a thought provoking article. Legend has it that Chanakya (Vishnu Gupta) was publicly insulted by the king of Nanda dynasty who had earlier dethroned Chandragupta's father. Chanakya , the haughty brahmin, vowed revenge. As retribution he groomed Chandragupta (and his army) and fought and killed the Nanda king. Chandragupta ruled from present day Patna in Bihar. Nalanda in present day Bihar was a contemporary center for higher learning that was equally renowned. Probably in the next tier of educational excellence was Kashi, present day Varanasi, in Uttar Pradesh. Kashi, as a center of learning pre-dates, by a few centuries, Nalanda and Takshasila . Students, educated elsewhere in the vedas and Sanskrit, would make the trip to Kashi to pass the bar and obtain accreditation. We must own our heritage without prejudice. And be proud of it. This will be possible when we will embrace and welcome everyone as our fellow human brother with no hatred. Thanks Dawn for this wonderful article, really appreciate to know the roots of Indian Sub Continent and the knowledge power house once it was, your work really minimizes the difference between our both countries. Long live India, Long live Pakistan!! Its good for everyone around the world to accept our heritage . Chankaya is still the pioneer of education on politics and statesmanship. Truth is that we have to recognize our past.Thanks for the article. Thank you so much for this treasure from our past! Whatever history and literature we read is so barren when it comes to our own history. Please keep going on this road and share more such treasures. Very thoughtful article! One needs to remember that what we are today is because of our history. Rising above all the superficial differences of man made thoughts, worth preserving and maintaining our history for us and generations to follow. The country which has greatest cultures and has started a university almost 2500 years back. This article itself says people in Pakistan maintains some great values. Everyday i open the webpage of dawn , not to check the political stories but to read articles like these. I want to understand that despite the common rich cultural heritage between India and Pakistan wherein lies the difference and enmity ? I wish so much that I could have visited Pakistan to see the cultural heritage sites like the ones mentioned here , Harappa , Mohenjodaro and even cities like Lahore and Karachi. But I guess it will not be possible now or in near future. Nobody knows exact history because we never invested the good amount to identify it. Remembering some one from past is a great thing. Eventually, facts come as times goes on if we are interested in something like this. We can never get know things better than them when the site in their country. Very nicely written. We must take good lessons from history - be it hindu, muslim or Christian. Indian History mentions all of them. We are proud of Emperor Akbar as well as Samrat Ashoka. We must not forget our History otherwise we will loose our identity. Again I salute to the "Dawn" for bringing such a nice piece of information. Bring more such history which most of us are not aware of. just a correction... Chanakya was born in Patliputra (present day Patna - Bihar). His real name was Vishnu Gupt... but his father was Chanak... one of the leading professors in that time at Magadh (Bihar earlier known). First thing I did is to copy and paste on a word document and save it for future reference, read and circulation to all my Pakistani and Indian friends. @M.S.PATIL , I am interested and more such articles appear, more children will be interested. It takes first step to start a journey, a fruitful journey in many respects. His rules of governance from 236 to 246 needs to be read by every diplomat in the world. That is what is going on between India and Pakistan and of course other countries as well ! Imran, true it is a rich heritage unparalled in the world of ancient knowledge. Forgotten grand history/culture of the people of the land which is now known as Pakistan. Saif Tahir, you are brave man to state the truth graciously and effectively. Thank you..
Well researched and analyzed piece. Mr. Aitzaz Ahsan views regarding our national identity and culture deserve to be reflected upon. We need to own our pre-Islamic history and culture alongside our Islamic heritage. Its only then we will be able to forge a true sense of national identity. After all Pakistani cultural history stretches back millennia and not since the advent of the Arabs. Thank you DAWN for reminding our great ancestors. Remarkable piece of reading. Should have more such informative articles on great heritage we share. @MUHAMMAD : Agree, but what is there to see?? very very nice article... India is using chankya's technics and flourishing .. Very interesting and very informative. A good read. Many thanks to the researcher. Very inspiring article for our both brotherhood , though some of the lines are painful to read. Very inspiring article though some of the facts are painful to read and pass on. Author can also take references of Indonesia, where they celebrate their past with pride. Very nice article. Pakistan requires more such broad minded thinking. We cannot undo over history- good or bad. We also need to keep in mind that our present state of affairs may undergo substantial changes after a few centuries. Do we expect our future generation to forget what we are today? Commendable article. But I would like to mention a correction. Chandragupta Maurya didn't hired Chanakya. Chanakya found Maurya when he was a kid and trained him to defeat Nanda Empire. What a read..congratulations to DAWN..Its sad how Pakistan had denied its student n people to know n understand their history...sadly we in India now somehow trying to replicate this. Thank you for writing this article. We need a lot more scholarship in this area. Iran has kept her ancient history with pride and there is no conflict with Islam or any other religion. Not only the whole of India but the rest of the world also owes a lot to this period of human civilization. Pakistanis can be proud that this happened in our part of the world. Excellent, Marvelous we should must preserve our history. "Nations which have no history have no future too." The linkage with the past civilizations & our past heroes is need of the hour. Excellent eye opening article. Article is well written and quite informative. Really enjoyed the article. It is unfortunate that it is , if not impossible , but difficult for us to travel as tourist and visit such places . Ashoka, The Great is my hero. Chanakya, a razor sharp intellect, was actually on a mission, handed over from his Guru,to root out Buddhism from India and re establish Vedic order. Towards this, he found Chandragupta Maurya who was looking for help to the throne of Magadha, present day Patna in Bihar. Chandragupta Maurya was abandoned by Royal Family inheritors as he was a not a child through Royal queen. It is very well known to all as to how Chanakya succeeded in his mission through his many a techniques which is followed even to this day in the spying operations. Buddhism was rooted out of India and found its place all over Asia through the efforts of Chandragupta Maurya's grandson Emperor Asoka. Some have called him the Machiavelli of East. In fact Machiavelli was Kautilya of West. He borrowed heavily from the great ancient thinker yet there is not a single acknowledgment or even a mention. In my humble opinion Renaissance scholars were over consumed by the desire to discredit Muslim contributions that they deliberately closed the doors for all Eastern ancient knowledge and wisdom. World lost a lot because of that. We should remember that most of our scholarship is in Renaissance tradition of knowledge. It is for this reason also that we are not fair to our own heritage knowledge apart from the Muslim angle. I thoroughly enjoyed reading the article. An excellent one. A nation is nothing without its great history..We all must be proud of our joint historical imprints. We have shared history and should imbibe it collectively for future development of our individual societies. I would suggest that Dawn should start a regular blog on our ancient heritage. Just see how many people are so passionate about it! Any Supporters of this suggestion? @Mustafa R. Dear , Indus is older civilization than mesopotamian and chineese. I dont know how you say, Indus is just mixer of persian and chineese. @Jeevan Please don't mix History with mythology. Thank you, for this beautiful, evocative article! Excellent piece of information and so insightful.The rich heritage and history should immediately be taken note of and be made an important part of syllabus for young mind to take further interest in the cultural heritage. So Sad. We inherited one of the oldest cultures and it's monuments. Could have survived on world Tourism alone. But NO. We chased away all and today CORRUPTION and CHEATING each other is the name of game. @Abhiskek please enlighten us on your version. It is quite interesting / informative. Dawn always comes up with productive things. this is one of them. Such a beautiful piece of writing . Being an Indian , I've heard a lot about Chanakya and his Arthashastra, but always thought that he hailed from the north-eastern part of India and this article gave me a real insight on this. Really sad that Pakistan , is not giving the deserved respect and value to such a great teacher , a philosopher born in its soil. Even in India they have really not tried out Chankya's Arthashastra in governance. It's probably a better guide to governance than our British inherited constitution. @M J Syed Nice article by dawn. Need to get such ancient details. If India and Pakistan was one country , It would have been the major force to reckon. I don't know if Pakistan is so beautiful or its just the good photographers, I guess the first one is true..
Great Article. SO TRUE, just as DAWN always stood for. Respecting roots is important if we wana achieve healthy upward growth. Wonderful coverage. Just to let you know that Chanakya (a.k.a Vishnugupta) was born in Magadh, present day Bihar. In fact, young Chandra Gupta was taken from Patliputra to Taxila for his education in politics and warfare. I know this because I am a Bihari-babu. And learning about Mauryan Empire is my passion. Simply superb ! wish we were able to visit all these places without any fear and prejudices ... wish a day of such kind will definitely come at least for the next generation, may be after 100 years of independence as both the countries get matured and start thinking rational. Dawn is really the most liberal news paper. Hats off. It is ironic to read from Indians they would like to visit the historic sites of Pakistan if the country allows. Their comments should be directed to their own government which has adopted an Isolate Pakistan policy and discourage their own in interacting with anything Pakistani. @Abbas Syed Sir your very unbiased and very honest opinion is appreciated. There must be lot of Pakistanis having same opinion as yours but sadly it seems they are in minority. Thank You for this article. The heritage of Indians and Pakistanis is one. You are not Arabs. You belong to the Indian Sub-Continent and it's traditions. mores and culture in which different cultures and religions propspered as they should. Taxila is not only Pakistani or Indian but it belongs to the world. You are it's keepers. Please protect it. Thank You. The comments of appreciation are incessantly coming in.The author & Dawn need to congratulated.Among 349 comments received so far,the line of thinking is generating harmonious relations & generate happiness & prosperity in both the countries.This is an axiomatic that media can play a dominant role in strengthening the friendly relations & Dawn has demonstrated it.Keep it up Dawn! A very beautiful article. Touched by its content, English and pictures. Would like to come and offer my prayers and feel the place. Thanks to Dawn and author for publishing this nice piece. Excellent article and congratulations to Dawn for publishing such historical one. Hope some one research and present facts from here say. As per many history books Visnugupt - Later called Chanakya being son of Chanak and Kautilya later was a student & faculty at Taxashila even head of institute. He groomed Chandra to remove Nanda as Nanda had executed scholar like Chanak & father of Kautilya. Brahmins of the time were well educated and had self esteem who never bowed to any king but all king used to seek their guidance that is why revered as Guru. Brahmins didn't have any superiority complex and imparted education to all deserving one. Excellent article, I do remember some 50 years ago we were taught briefly about this history, my guess is under Zia's rule it all changed, any reference to Hindus and other minority in Pakistan had been taken out of history and replaced by thieves like M B Qasim and invaders like Sultan Slahuddin and Mughals, thank you so much for taking a step to reintroduce Pakistan's history to Pakistanis. You wish to lay claim on Chanakya, do it by all means. But be true to facts. Chanakya was born in Magadha, near modern day Patna. He went to Takhshila for education but came back to Magadha. He was insulted by the then Magadh king Dhananand, took a vow of revenge, recruited a young boy in whom he saw talent and helped him defeat the Magadha king to establish the Mauryan empire. The boy is better known as Chandragupta Maurya. Yes, Chanakya has a huge association with the land which is present day Pakistan. But he was neither born there, nor attained his biggest success there. He got educated there. Thanks Dawn and its team .we proud of your contribution . Indeed an article gives due credit and high regard to an Ancient 'BhartVersh' most celebrated and prominent personality 'Aacharya Vishnu Gupta Chanakya' an inventor of 'Arthashatra' and Chanakya neeti, he discovered Chandra Gupta Maurya as a young child, in Patlipurta and bestowed as King, not in Taxila. Pakistan history goes back to the time when first man laid the first brick of Indus civilization. Obviously thousands of year ago when Chanakya was born. We need to go back all the way, not just the middle ages era which is being referred in the article. @M.S.PATIL these teachings for Buddhists in Myanmar to behave well with their Muslim neighbors, they should follow their religious teachings. Many thanks for publishing this article. We in India read & refer to Chanakya a lot. As the author says, no Nation can afford to ignore the past completely in particular when the culture & value systems have received World attention in those era. They are the pride of our previous generations & we have a lot to learn from them. The unfortunate problem today is that many countries have chosen to adapt ideologies which demands shunning the past when they are in variance to the current ideas. I agree with the author that Pakistan preserves such sites & teach the current generation about such scholars even if they happen to be non Muslims. I am confident that the future generation of Pakistan will be benefitted a lot. Best wishes. @Sed What are you talking about?!!! Two corrections. 1. Chanakya was born in Pataliputra, not in Takshashila. 2. Maurya was not a prince when he met Chanakya and he did not hire Chanakya as his advisors. Maurya was a boy when Chanakya spots him and promises to make him a king one day. The only source of Chanakya's story is Visakhadutta's magnum opus 'Mudrarakshasam'. @shahdab Sanatan Dharma is the correct world . Hindu word was used by the Persians for the people living on the banks of Sindhu river. @Mustafa R. South India is far from Persia and China and culturally they are rich when compared to North India which has greater influence of Persia and Central Asia on it.Request you to take advantage of the knowledge available on net . @M J Syed , How I wish I could click 1000 times Like on your contribution on this article. Well said. Very interesting observations, Pakistan should accept the past pre-partition era of great people. Otherwise we end up like the Europeans who deny the exixtence and the glorious age of the muslims by calling it the Dark age of Europe. @shahdab Dear Shahdab, There is nothing called Hinduism even today, its just a description which outsiders uses to capture the Belief and way of life for people of Bharat. Like the word India (which is foreign word) even Hinduism / Jainism/Buddhism are being used by the sons of Bharat perhaps out of ignorance or for ease of communications. All of these are Dharmic / Philosophy based approach to Divinity. @SHEIKHAR CHANDER SATTI : First: Why displace citizens of earlier communities in order supplant it with your own? Is it accepted truth that humans are the most invasive species for all? Its something we must give importance to it. And I really overwhelmed to know about this historical fact. But sir we must mention the role of Raja Porus at the same time when Maurya Empire given safe passage to Alexander on his march to extend his expedition into the heart of India but Raja Porus faced him bravely at hydaspes "jehlum" river. Sir its awful when we mention the Alexander the great but we don't mention about Raja Porus. Sir write about him if its possible. When you are sitting in a land that had one of the best civilization, best ideas and amazing contribution to world, from cotton, to spices, to music to what not and all that much before even christ was born.. you cannot ignore such civilization without hurting yourself very badly.. more so when you are descendant of that civilization... Upanishads are the first philosophical texts ever written and the most profound one and most humble one... Sanskrit the best grammar for any natural language.. the list is long and so solid that it will haunt anyone denying it forever.. own it..
very good article. We in India follow Chanakya like a hero with lot of respect. Great article ..thanks dawn for publishing it. @Mustafa R. Pakistan was part of India. How can anyone deny historical ties of Pakistanis with the surrounding regions? We have a shared ancestry and heritage. Some of you chose to become Muslims and split with us. @M J Syed Superbly put. A point that most of us miss out on. Machiavelli was the Chanakya of the west. @Imtiaz Ali Mallah Mauryas were not ruling when Alexander invaded. Great article by author, my salute to you sir! Great article written by author in a very good news paper DAWN, I salute both of you. @Arvind V. Gokhale: If only India would agree to resolve the Kashmir issue, there is no reason why Indians could not travel across the border into Pakistan and visit the past that we all have in us in one way or the other. This article is changing my perception of Pakistan. Nice. I think it's important to find our moorings in soil we belong to . Quite unusual and all the more welcome Good work but wrong on facts and there are important omissions. Chanakya was a greater and more complex thinker than Machiavelli. Neither was amoral as it is generally thought. While the Prince was an extended observation on how power was acquired the Artha Sastra is a great manual for ethical rulership. What a wonderful piece! It is absolutely right not to for get our past. It is HISTORY! Bravo Dawn for publishing this article. Nice and informative article. History is History, It is the truth that we cannot deny. It should be appreciated. heritage must never be forgotten because posterity needs it. Why do we fight when we are from the same ancestors. If my brother changes his religion, will he cease to be my brother? If India gave up on weapons of violence how did you enforce your caste system? did the Dalits choose to be Dalits willingly? I did not say that, to the contrary I said that Indus Valley Civilization has no known links to any existing civilization. pakistan shd learn frm Indonesia.. that also a muslim country but they love there history.dnt understand why pakistan cant be like Indonesia.. Brilliant piece and highly informative. I have often seen some truly good, unbiased articles in Pakistani media publications, this one is one of them. @Mustafa R. - do you mean ashoka did not give up on violence ? this is funny . Good piece of Research. But i think the Book you mentioned 'The World Order' wrote by Francis Fukuyama not Henry Kissinger. Again the nice article by DAWN. Beyond religion/Nationality we must respect the worth. Economy rules the World !!! Ultimate Truth. A great and investigating article. Investigating in the sense that the learned scholar has tried his best to place the history , heritage, culture, civilization and wisdom before us in reformative language. We all know that we shared the same history but do not recognise it . The word 'Pakistan ' is the outcome of partition. So is the case with India. The name ' India' was given by the westerns . The writer has rightly analysed when he says that " Chanakya is damned for obvious reasons. He is presumed to be a representative of the Brahmin mindset and Hindu culture which we have parted from a long time ago. Merely this was enough to disqualify him from the stature of a learned philosopher of the soil ' Thanks to the author for writing an excellent blog. - Bimal Chandra Jha, Patna, India. Excellent article. People who do not learn from history repeat the mistakes of past. History is ethnic and religious, a link that is transferable, but foremost history belongs to the land on which it took place because that cannot be claimed by anyone else. The history of Indus region is my history, I may not have been taught it, but I have learnt and I claim it as mine. This gives me a clear understanding of Pakistani curriculum and where its generation is heading to. Best of luck. The history of the Indus region is the history of the people of Pakistan. It is part of my blood. very informative..... hats off to Anis ur Rehman for burning the lamp of knowledge at such an ancient sacred learning place. Does Pakistan has any Archaeological Department to take care, maintain or do digging and fact finding in such areas..... these could be a wealth of ancient history hidden under the soil. Without distortion of existing facts further research will only enrich the history of our sub continent. Excellent article on the ancient history of our country and an insight into the shared past of the two countries. We need to know more about such pieces of history. On a personal note feel proud that one was born in Haripur. Great feeling of nostalgia. Wonderful history of India & Pakistan.........Once part of the same land..........but divided by fate. Too often here in India we read something like "..... this-that-this (now in Pakistan) .... " this puts it in perfect context. My best wishes to Mr. Said Tahir (author) & Dawn for this courageous article. Learning & knowledge always helps... Thanks & Regards.